The resort complex "Priboy" is located in the center of the city. Kirillovka. 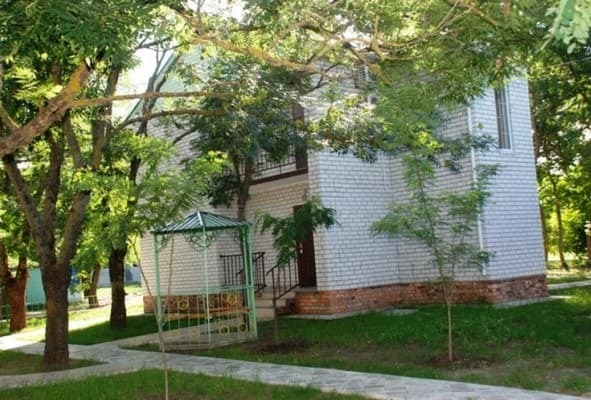 The holiday house has its own cozy, guarded territory and is the most greened base in Kirillovka. 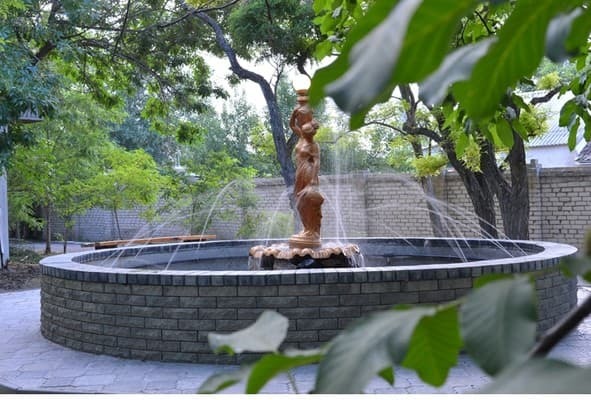 The hotel has more than 250 rooms, which are equipped with the necessary furniture. The rooms have a fan or air conditioning, TV, cable TV, refrigerator, bathroom and shower. 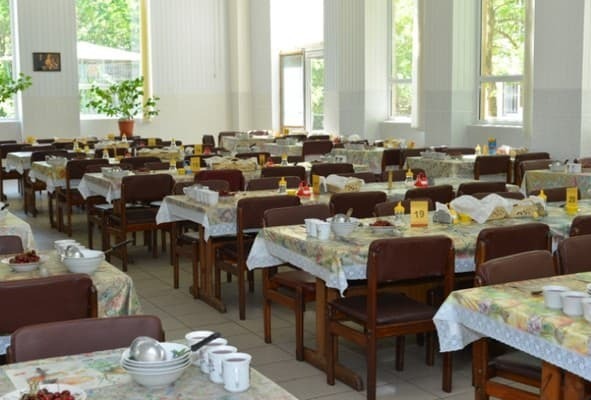 On the territory of the hotel "Surf" is the restaurant "Karina", where there is a wide choice of hot and cold dishes, soft drinks, live music, a concert program. 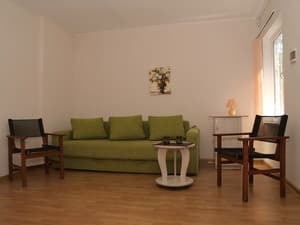 Description of the room: A room with two separate or one double bed and comfortable furniture. Cold and hot water supply around the clock (electric boiler). 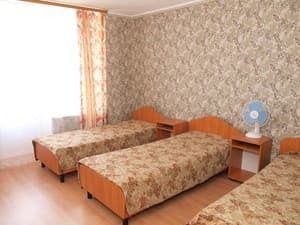 Description of the room: One-room superior rooms have two single beds, a set of towels, a set of dishes. Cold and hot water supply is available 24 hours a day. 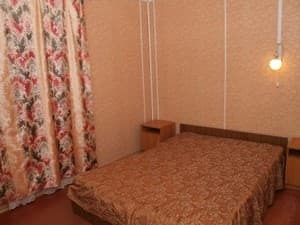 Description of the room: One-room superior rooms with a double bed, a set of dishes. Cold and hot water supply is available 24 hours a day. Description of the room: The rooms on the ground floor have a separate entrance from the veranda, the rooms on the second floor have balconies. 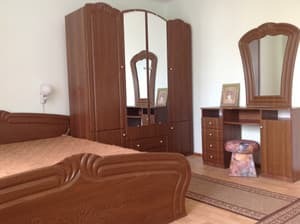 The room has two rooms: a living room - upholstered furniture, a bedroom with a double bed, there is a set of dishes. Cold and hot water supply is available 24 hours a day. 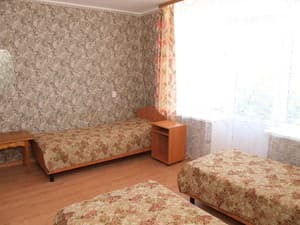 Description of the room: Room with three single beds and comfortable furniture. Cold and hot water supply around the clock (electric boiler). Description of the room: Near each cottage there are 2 gazebos. Rooms on 1 floor with a double sofa bed. Rooms on 2 floors with a double bed. All rooms have their own separate exit. There is a set of dishes. Cold and hot water supply is available 24 hours a day. Description of the room: One-room superior rooms. 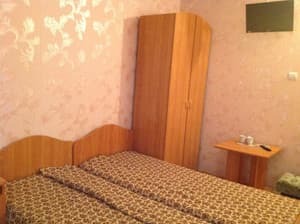 The room has two single beds and a sofa, there is a set of dishes. Cold and hot water supply is available 24 hours a day. 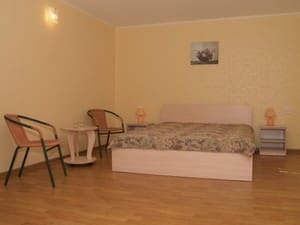 Description of the room: One-room superior rooms The room has two single beds and a sofa, a set of dishes. Cold and hot water supply is available 24 hours a day. Description of the room: Room with balcony, four single beds and comfortable furniture. Cold and hot water supply around the clock (electric boiler). Description of the room: Houses on the beach of 3 rooms with sea views. 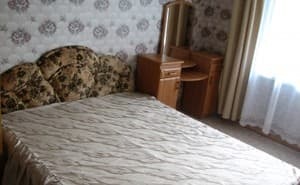 In the room: lounge with upholstered furniture; two separate bedrooms: one - double, in the other room - two (three) single beds; bathroom - separate (toilet, washbasin, shower - cold and hot water supply around the clock). There are conditions for a barbecue. Description of the room: It consists of 2 rooms one on the 1st floor, and the other on the 2nd. The rooms are connected by a staircase. Rooms on 1 floor with a double sofa bed. Rooms on 2 floors with a double bed. All rooms have their own separate exit. There is a set of dishes. Cold and hot water supply is available 24 hours a day. 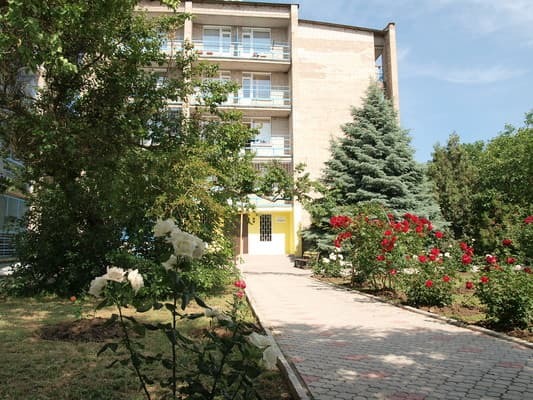 Children under 5 years - free of charge (without provision of a place and food), for children from 5 to 10 years 10% discount (in the rooms of the category "Standard"). Vacationers can order three meals a day in the dining room. The cost of three meals a person: from 150 UAH per day. Restaurant "Karina" is located above the beach, with an excellent view of the sea. The menu is represented by a variety of Ukrainian and European dishes, live music plays. The beach bar "Cuba" offers a wide range of drinks. 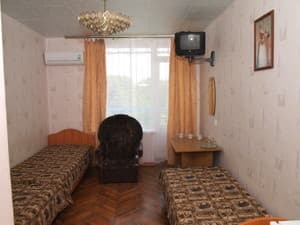 The Holiday House "Priboy" is located in the center of Kirillovka, 300 meters from the central bus station and just a few meters from the main square of the village and village council, the monument "Dolphins and Mermaid" serves as a guide. On the territory there is a doctor's office, a visit for free. Any train that goes to the railway station of Melitopol. From the railway station Melitopol in the summer every 20-40 min. Taxi, shuttle buses and buses to the Kirillovka bus station are on the way (about 1 hour and 15 minutes on the road).